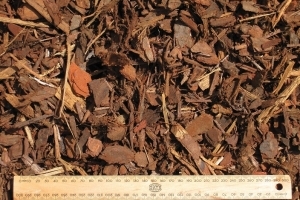 This larger size bark is good for gardens with large trees/plants, for established plants. The medium size will last longer than the fine pine bark but is not too chunky. Larger size allows water to penetrate into the soil.